Teen pop star Miley Cyrus is reportedly 5’4″ tall, but keep in mind she has two more years of growth. Also, remember the two-four inches most celebrities exaggerate by. For now she is petite and is the daughter of well known mullet-man Billy Ray Cyrus famous for arguably the lamest song ever written “Achy Breaky Heart” (makes me shudder just thinking about it). Despite Daddy Cyrus’ terrible song taste, somehow Miley Cyrus has made it big time! 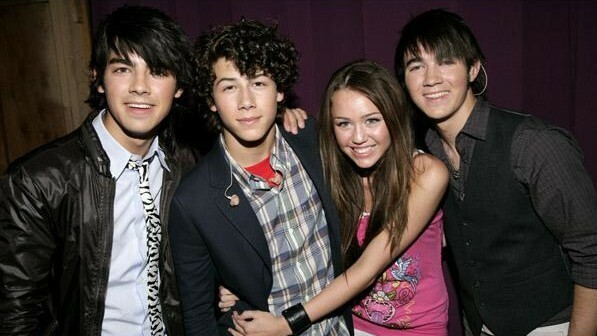 5’4″ MILEY CYRUS AND JONAS BROTHERS HANGIN OUT! seems to have her pick of the hottest young guys in town, along with gal pal Taylor Swift. Miley’s picture with Liam looks to be dangerous for Nick! MILEY MACKIN’ ON LIAM… U GO GIRL! Next Halle Berry on her CAREER, LOVE LIFE & NEW DAUGHTER! SHAMU TOO! Miley Cyrus of the TV Series Hanna Montana is really curte and funny. she is really talented in the sense that she can act and sing as well. Please write more stuff on Miley, she’s so cool! I love her music I’m a big fan. Does Miley have a fav clothing line? Thank you for your comments. I will check into Miley's favorite clothing line. New post in the future! Great suggestion. Hello love your blog, totally cool. You should do more stories about petite fashion. Like the celeb bustin on their height tho. I appreciate your feedback. You can count on BellaPetite to bring you the truth about height and fashion! Thank you for your comments. Miley is my fav gal pal to read about. Write more on her please. Love what your’re doing. 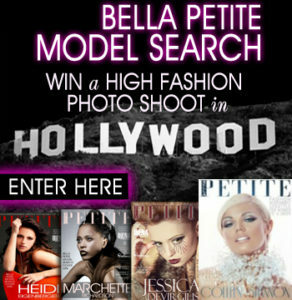 Luv Bella Petite! You rock!